All revenues from the raffle go to support the Park’s activities. Many thanks to all who bought tickets. New Downloadable Versions of Trail Guides for Sandstone Trail and Hemlock Trail Now Available. Go to Trails. For an updated version of the Hiking Trails & Interior Campsites, Click here. For an updated version of the map of the Campsites, Click here. Top Camping Site: Charleston Lake Park has been chosen as one of the top ten camping sites in Ontario and Quebec by Explore Magazine. 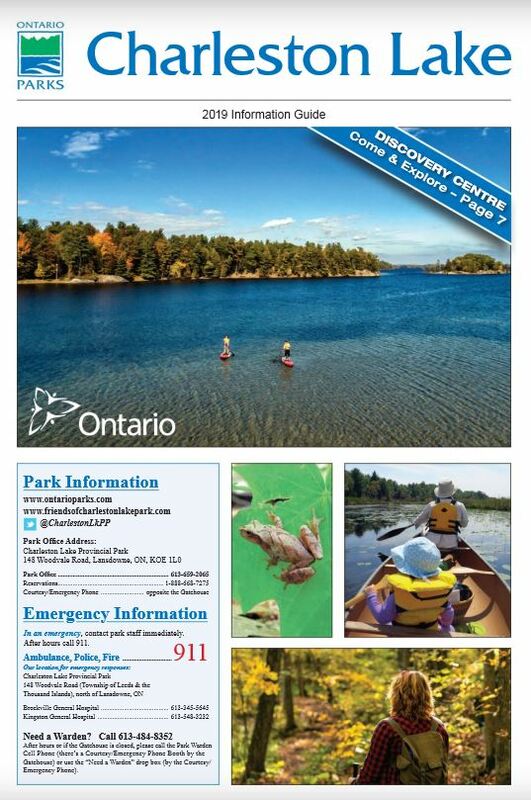 For more information check out the website at http://www.explore-mag.com/10_Best_Campsites_in_Ontario__Quebec. Post your pictures on Pinterest. Follow the Park on Twitter @CharlestonLkPP.